Pakhtun Sikhs have revived many festivals that had not been celebrated since Partition. The only time I attended Guru Gobind Singh Jayanti (birthday) celebrations at Nankana Sahib was on January 10, 2011, a few days after the assassination of Salman Taseer, then governor of Punjab. In an empty ground next to Guru Nanak Janamasthan Gurdwara, the city’s Sikh community had organised a cricket tournament. Sikh boys, almost all of them of Pakhtun descent, sat near the edge of the ground, watching the final match. Another group of boys sat on a raised platform, giving live commentary of the match over a loudspeaker. An assortment of vendors, mostly Muslim, looked on, joined by other members of the local Muslim community. There was a separate tent for women. Traditionally, on Guru Gobind Jayanti, mock battles are enacted to honour the warrior spirit of the 10th and last Sikh guru. But in Nankana Sahib, they had organised a cricket tournament. One of the organisers, a young Pakhtun Sikh, said they wanted to have tournaments for hockey, volleyball and other sports too, but there was not enough time. Many of the Sikh boys lived in Gujranwala, Sialkot and Lahore, some studying and others engaged in business, and they had returned to Nankana Sahib for the festival. 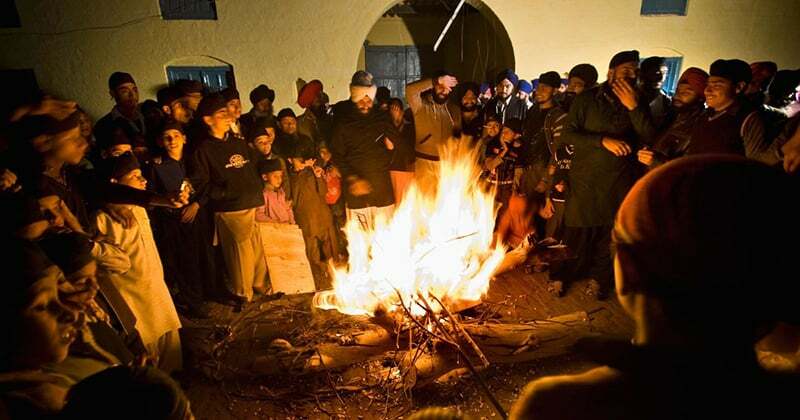 A few days later was the winter festival of Lohri, after which they would go back. 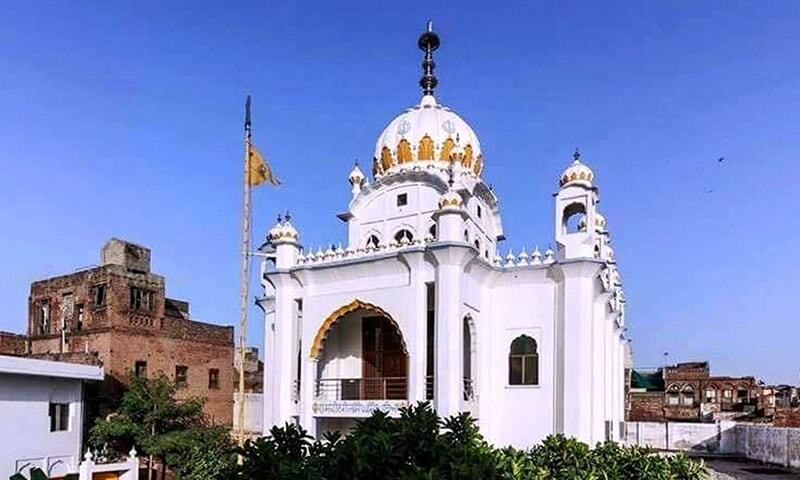 In the couple of years before 2011, Nankana Sahib, about an hour’s drive from Lahore, had emerged as the centre of the Sikh community in Pakistan. A handful of Sikh families had moved to the city from tribal areas along the country’s northwestern frontier following the wars of 1965 and 1971, when members of the community were attacked by jingoistic mobs who took them to be representatives of the belligerent Hindu/Sikh neighbour they were fighting. A few more families arrived after the destruction of Babri Masjid in Ayodhya in 1992 led to attacks against Hindus and Sikhs as well as their places of worship around Pakistan. The arrival of most Sikhs who now live in Nankana Sahib, however, was precipitated by the Talibanisation of the northwestern frontier region during the 2000s. Hundreds of Sikh families had for generations lived peacefully in the tribal region. Even the riots that accompanied Partition and burned the social fabric of Punjab did not affect them. But when the Taliban took control of their homeland, they demanded jizya, a tax levied on non-Muslims living in a Muslim state. The consequences of failing to pay the tax were severe. In 2009, the Taliban destroyed the houses of 11 Sikh families in Orkazi Agency for refusing to pay jizya. In 2010, Jaspal Singh, a young man from Khyber Agency, was beheaded after his family failed to pay the hefty amount demanded. In Nankana Sahib that day, I was introduced to a 16-year-old boy. His family had come from Khyber Agency, he said. “We had a small cloth shop at Ghariza, Jamrud, set up by my grandfather,” he added. “One day, these men with long beards and modern weapons came in a jeep and parked in front of our shop. I was there with my father. “They told my father that if we wanted to continue working there we had to pay them two crore rupees within a month. There were many such stories. Forced to abandon their homes and property overnight, hundreds of Sikh families from the tribal areas settled in cities with considerable Sikh population – Peshawar, Hassanabdal and Nankana Sahib. In Nankana Sahib, the Sikh population went from a few families at the turn of the century to a significant minority of a few thousand people in 2011. Togetherness brought a sense of empowerment, such as they had perhaps never experienced before. Sikh festivals which had been confined to prayers inside a gurdwara became major public events. There was a heightened sense of Sikh identity, particularly among the youth who took the lead in reviving religious traditions that had been abandoned for generations. The cricket tournament on Guru Gobind Jayanti was part of this religious revivalism. I returned to Nankana Sahib for the Lohri celebrations. Gathered in the courtyard of Gurdwara Patti Sahib, young Sikhs threw sticks into a fire as they sang and danced. I was told this too was a recent phenomenon. 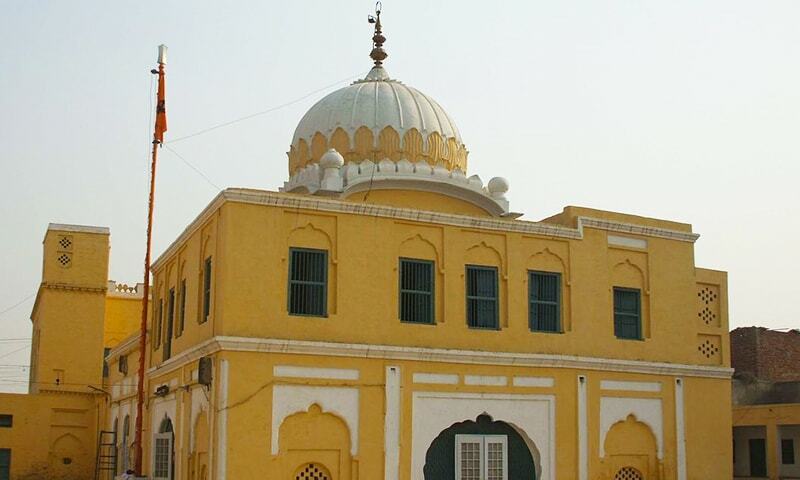 In popular imagination, Nankana Sahib remains associated with Guru Nanak Gurpurab, the celebration of the birth of the first Sikh guru which is attended by thousands of people every November. 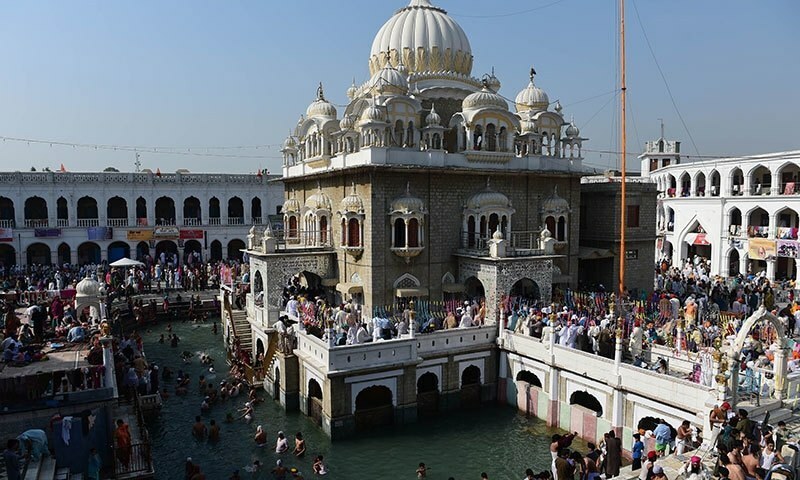 But thanks to the efforts of young Sikhs whose families have been forced to settle in the city, Nankana Sahib is now also home to many other festivals that had not been celebrated since the Partition. A wonderful article. Salute to Khalid Sahib! I know the Sikh to be a very hardworking and peace loving people. Great to hear of their tenacity as well. Dear Haroon Khalid, These are Sikh people living in Pakhtunkhwa and FATA but they are not "Pakhtun Sikhs". These sikhs are not of pakhtun descent. They have adopted many of the cultural and lingual traditions of pakhtuns because they have lived among them from generations, but that does not make them of Pakhtun lineage. We love our sikh neighbours regardless... but just wanted to enlighten you regarding this issue :) Nice article though. @Moiz Habib Very good comment for your clarification. Khalid Sahib, thank u for this information. Happy to see our Pakistani Sikh brothers and sisters enjoying and living in peace. They are my Pakistani brothers and sisters, free to settle in any part of our homeland. I wish you all a happy future. So sad that these Sikh families had to endure the terror of Taliban forcing them to leave their ancestral homes & businesses. Glad that our these Pakistani Sikh families have managed to set up an amazing cultural hub for us all to enjoy the religious & cultural diversity in Pakistan. I hope these young Sikh boys get into Pakistani politics & eventially represent their great culture in our government also. Sikhs are a solid foundation for any just and progressive society pakistan must look after them to see better days. I slute the tenacity of these brave Sikhs and ongoing effort on your part to show a glimpse of Pakistan unknown to outsiders. @Moiz Habib Janab during the early days, many Afridis became Sikhs. This is a known historical fact. @Najma Hisham it is the other way around. many sikhs who became afridis while living among them in their traditional homeland, tirah.my friend hardyal singh is one of them. @Moiz Habib totally silly. Many people born in different parts adopt dual identities. You've not right to ring-fence ethnicity or regional description to yourself. Are they Pukhtun Sikhs or Pukhto speaking Sikhs? Unfortunate, strangers in their own country. I think west sufferers of Partition are Sikh for no fault of their. We Pakistanis must take care of them so that they truly feel Pakistan their own country.